Apple recently made a revamp to the Apple Music app on the iPhones and iPads to integrate the music video experience after the rollout of iOS 11.3 last week. Following that update, Apple made a similar change to its Apple Music application for the Android platform. With this new update, the music video experience has fallen more in line with what we get to notice on the iOS platform. The new update on the both Android and iOS, lets the user lay music videos back to back with exclusive playlists. Also, the music video category has been added to the Browse section of the application, meaning that now users will be able to see the trendiest music videos on their Apple Music app. In addition to this new update which has recently been rolled out this month, Apple was seen pushing a rare bi-monthly update last month which fixed the issue of app crashing while accessing the library. Like this, Apple has been making small but interesting additions to its Music app via small updates. The developers have also embedded the function of running Music Videos in the background and also the ability to add music videos to playlists. The overall experience of the app has also gone through a swift transformation post which the application has been integrated with stabilised software and also with some small optimisations. 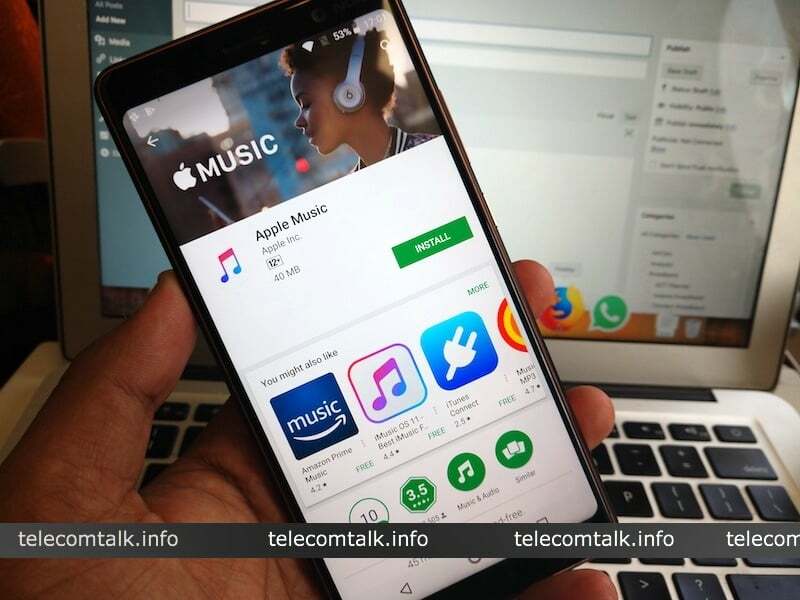 The keen followers of the brand will start to see that with this new application Apple is planning to counter YouTube which comes as a preinstalled app on the Android platform. While there is a basic difference between both applications with one being a primarily video-based platform and the other being a music-based platform, Apple has slowly taken the step towards the transition with the rollout of the music video feature.